Although student research assignments change somewhat every year, it is likely your assignment will be similar to a job assigned during last year’s program (see previous years intern jobs). In our experience, a number of individuals are repeat SIST program supervisors. Sometimes — it depends on the job assignment. Some jobs have two or more summer interns working on the same project, but for most jobs you are the primary worker. It is important to us that you interact with the other interns at Fermilab. To that end, the SIST Program sponsors a weekly undergraduate lecture series for anyone and everyone at the lab to attend. What does a typical day look like for an SIST intern? Work hours are agreed upon by intern and supervisor. Most interns work from 8:30 a.m. to 5:30 p.m. each day. Working more than eight hours per day is not typical or encouraged. Your assigned supervisor, workgroup colleagues, fellow interns, SIST Committee members and Diversity Office staff are available to address all job-related or other concerns throughout the summer. 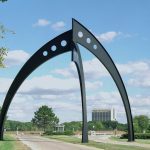 Is there anything I should learn before arriving at Fermilab? The email addresses of selected interns and Fermilab supervisors are made available in the spring. Communication ahead of arriving at Fermilab is encouraged to figure out if any advanced preparation is necessary. Fermilab arranges shared local housing (apartments or hotel) for SIST interns. No need to bring pots and pans or sheets and towels. Depending on housing, either shared rental cars or shuttle service is provided. When cars are offered, drivers must have a license that is valid in the United States. Cars cannot be taken out of Illinois. Interns share the cost of gas and tolls. Are there extracurricular activities associated with this program? Activities are available but there is no requirement to participate. Our suburban campus is a vibrant community that has quite a bit of activity going on including a soccer league, intern networking socials and cultural events. Neighboring communities have plenty to offer as well. Chicago’s season is summer — there’s TONS to do downtown during the summer months. I am a graduating senior. Can I apply?